One of the big upper hands Google Hangouts enjoys over Skype right now is free group video chatting, while Skypers have to pay for Premium for the same benefit. 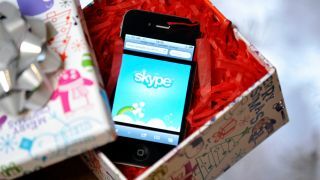 When TechRadar asked if this could change in the future, Skype told us that it is something that it's working on. "Yes, it's something we want to do in the near future," Yasmin Khan, product manager for Skype Premium, confirmed at the Skype offices in Stockholm. "We realise this is an urgent need for our Skype users." Right now, Skype says that it's looking to ensure that the service will work well across all devices and isn't giving any further details of why it's still holding back. However Skype told us that its Premium service is doing well right now. Despite this, it's clearly feeling the pressure of Google Hangouts offering more for less. Skype also confirmed that it also has a number of other priorities for the future. Making the Skype experience better on multiple devices is currently top of that list, with an emphasis on being more Cloud-focused, according to Karlheinz Wurm, General Manager of Product and Test for Skype and Lync Real Time Media at Microsoft. Microsoft has already announced that the Xbox One will come with six free months of group chatting for those with a Gold Live subscription - let's hope it's not long until it makes it free all the time for everyone. It's sounding hopeful.